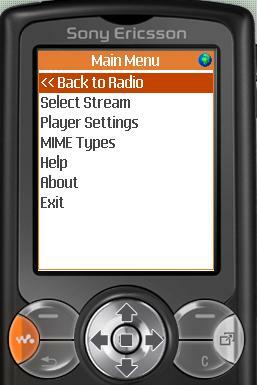 mWebPlayer is a tiny Web Radio Player that plays streaming music from Internet radios and can work with any J2ME-based mobile like a cell phone, a PDA or a smart phone. 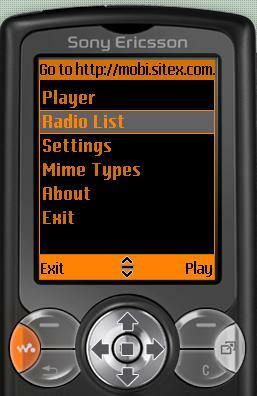 It has advanced custom features like loading user's playlist from mobi.sitex.com.ua; sending debug log emails; providing reach choice of configuration options. 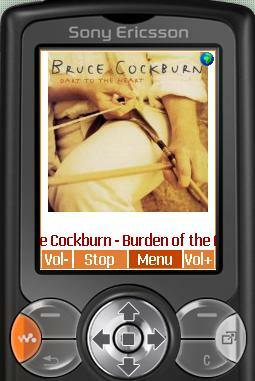 Also special version for BlackBerry phones is available. 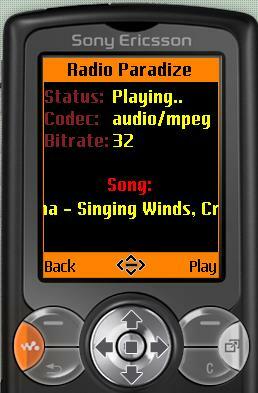 mobiParadise is a very simple free demo application that plays my favorite Radio Paradise , dynamically shows a current playing song and its CD's cover image (if available). 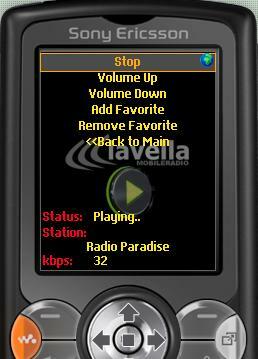 LaVella Radio is another beauty Java-based mobile stream player. It has a reach choice of pre-set Internet radio stations to listen to and provides own rebroadcasting service which allows playing online stream music even on a locked phone. 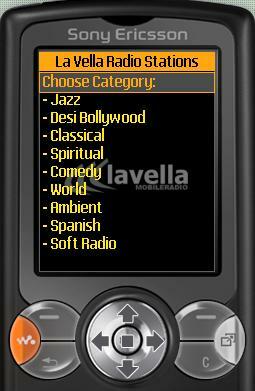 Developed and distributed for and in cooperation with La Vella Entertainment Group .